While sorting through the accumulated papers of (half) a lifetime I’ve found my first ever paid commission! 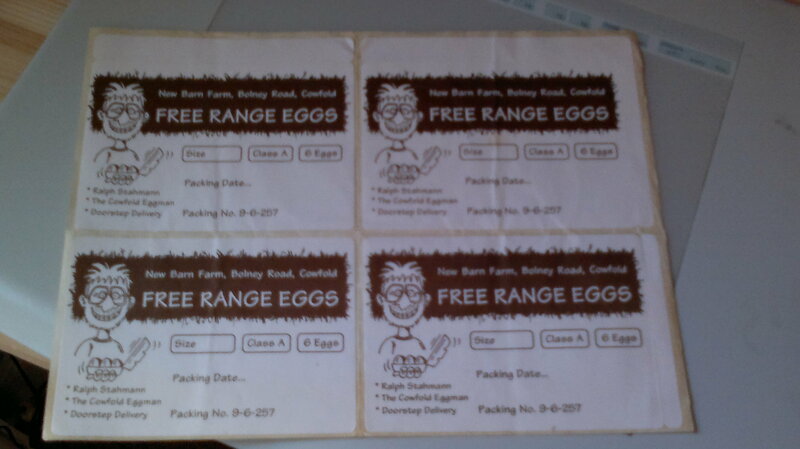 It was a logo for the egg-boxes that were delivered to the surrounding area from the egg-farm I worked on, incorporating a caricature of the farmer Ralph. I’m quite pleased with how it turned out, considering this was 1997 and I had no access to computer or Photoshop and had to work in pen-and-ink. I’m pretty sure there was also a counterpart design (involving chickens and a coop silhouetted by the sun) for a decal on the side of Ralph’s van, but I can’t find it anywhere.